Welcome to the Teachers' Lounge for the Spies in the Shadows website. Here you will find four complete teacher-directed lesson plans to help students gain a better understanding of how espionage and intelligence helped to shape Canada. Each lesson incorporates activities and blackline masters that specifically address and complement the existing provincial curriculum for Social Studies and History. Activities include researching, discussing, debating, analyzing, outlining materials in graphic organizers, exploring original documents, and planning and playing intelligence and espionage games to name a few. The Elements of Intelligence History is a downloadable PDF document that includes a comprehensive list of resources for educators and students to further explore the history of intelligence and espionage in Canada and in the world. The document summarizes key events from the 18th Century until today and outlines selected resources that may be used as starting points for students and educators in their investigation of the history of intelligence and espionage. This lesson examines how intelligence and espionage were used in the War of 1812, focusing on people involved in the war and key battles where intelligence was used. 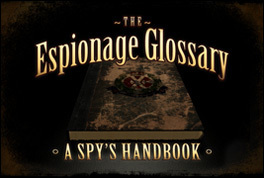 This lesson looks at cryptography, codes, and ciphers, and how they have been used throughout history in espionage. This lesson examines the role of women in intelligence and espionage in Canada and in the world. This lesson investigates the development of the Cold War after World War II and the role of intelligence and espionage in this conflict, especially in Canada. Conference of Independent Schools (CIS).